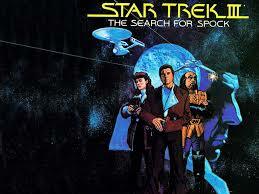 Brief Synopsis – The Crew of the Enterprise travel back to the Genesis planet to try and find Spock. My Take on it – This movie is somewhat of a disappointment in the Star Trek canon since it doesn’t give us much besides being the perfect bridge movie between Star Trek II: The Wrath of Khan (1982) and Star Trek IV: The Voyage Home (1986) and a way to change what happened in the previous movie in a subtle sci-fi way. I didn’t even get around to seeing this one in the theater at the time because I had heard so many things about how poor of a movie it was. The two main Klingons in this movie (behind all the make-up) are played by Christopher Lloyd and John Larroquette and are quite unrecognizable if you don’t already know who the actors are beforehand. Unfortunately, neither of them is as scary or menacing as we are made to believe Klingons should be. This movie provides for Trekkies some interesting information about the Vulcan and Klingon races which are now a big part of the Star Trek canon. I liked the way this movie had a re-cap at the beginning to remind the viewer of what happened in the previous movie. All in all this is entertaining, but NOT Star Trek at it’s best. This is an odd numbered Trek film, so it fits with the myth that only the even numbered are good. Definitely not the best but they had to bring one of Sci Fis most beloved characters back somehow, right? I agree, but its really fun to see how this was completely done just for that b/c it has little value besides that.